SOME FIG | Jane Lear. Writing on Food and Travel. © 2010 Pender Nursery, Inc. I am waiting for a UPS shipment of a friend’s homemade fig preserves, and maybe today’s the day. The preserves are delicious on toast at breakfast, but I tend to use them more like a chutney. They embellish roast chicken, served with a judiciously thin slice of Benton’s country ham and biscuits or crumbly corn bread. They dress up cold leftover roast chicken. Mashed up and smeared on a piece of Manchego, they make an able stand-in for membrillo. The preserves are made from a cultivar called Celeste—what people from my part of the world know as sugar figs. They are much more tender than Black Mission figs from California. Missions are okay in my book, but they’re a little thick-skinned. That characteristic (I’m trying to be positive here) allows them to hold their shape well when sliced and drizzled with cream (a combination I know I’m supposed to like but don’t) or cooked in a tart. Celestes, on the other hand, have delicate, paper-thin skin that disappears into the strawberry-pink flesh the instant you bite into one. 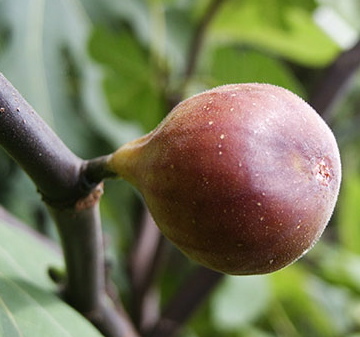 They are so ephemeral that they are impossible to ship and don’t keep more than a day or two, which grants fresh Celestes cult status among the fig-obsessed, even though the actual trees are as common as dandelions throughout the southeastern United States and as far west as Texas. You need to know somebody, you see. Somebody with a fig tree in the yard. Broad-leaved and shrubby, that tree is a descendant of one of the trees left behind in Florida by the Spanish in the 16th century. Those trees flourished and spread on up through Georgia, the Carolinas, and so on, where their fruit is surreptitiously passed around neighborhoods in paper sacks like it was moonshine. Until I was an adult, it never occurred to me that figs in general were something that many people actually bought, at a grocery store. I was reminded of all this recently, when I found myself back on Ocracoke, an island off the coast of North Carolina that has thickets of fig trees, interspersed with yaupon and oleander, lining the sandy lanes. Whole-fig preserves are a genuine cottage industry here: There are jars full of the deeply sweet condiment stacked by the cash register in every mom-and-pop shop in town, and home cooks argue about who makes the best fig cake—a rich, moist affair filled with chunks of the preserved fruit. I sure hope that UPS truck comes soon. Posted: October 7th, 2010 under cooking, early autumn, objects of desire, pantry, people + places. You know, Jane, your blog is wonderful. I was introduced to it by Cara De Silva on Facebook, had never heard of you before, in spite of your illustrious past, and so what a wonderful surprise to find you. Your words are … really evocative and energetic. I’ve been writing about food for decades, and I take pause and really enjoy yours. Thanks. Thank you very much. Dear Jane: Why do figs seem to evoke such memories? I remember a fig tree in Istanbul fruiting vigorously on the street and a chef from a few doors down foraging them for our dinner. Thank you for reminding us of all that is good. Beautiful piece! And I love the nod to EBW.